The Series s Harris Bipod rotates to either side for instant leveling on uneven ground. 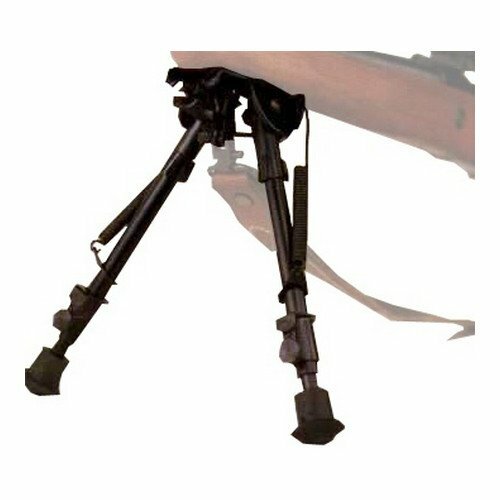 The hinged base has tension adjustment and buff springs to eliminate tremor or looseness in crotch area of the Bipod. This is an improved version of the original leg notch Bipod. The legs eject by spring action. Four height settings from 6 to 9 inches. Weight is 13 ounces.